most cherished holiday traditions: caroling! this very special Third Friday, Dec. 18, 6-8PM. are welcome to join in and sing the songs of the season. Enjoy FREE hot cider and homemade cookies every day of December during the holiday season including after the caroling. Some cookies use vintage recipes; all are baked with love by volunteers.Cookie in hand, you can wander the current exhibits including Durham A-Z: H is for Hayti and Durham Beginnings | 1865-1885. It will also be the last chance to see Historic Russell School exhibit. how current residents preserve and carry forward Hayti’s legacy. 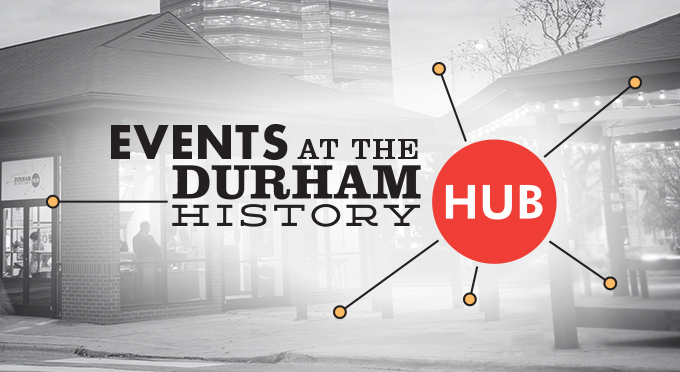 An exhibit featuring five dramatic but little-known personal stories evoking the spirit of Durham’s formative years. 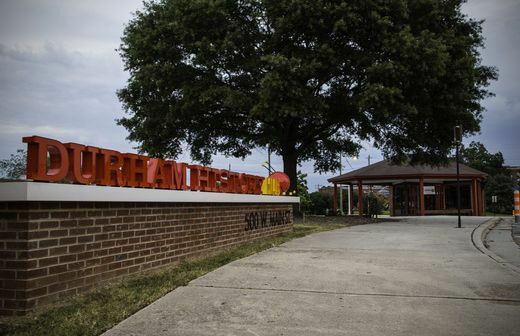 Rosenwald schools, with particular focus on Historic Russell School. Rosenwald Schools were created by Julius Rosenwald, Booker T.
African-Americans in the rural South during the Jim Crow Era. incorporated later with a photo and caption. buildings, and NC Mutual tower. Room will be archived by the Durham County Library. 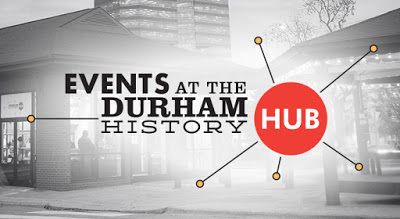 Durhamites can record their own memories and experiences of Durham. recent or very old. Both are valuable to the community. interviewee find the experience to be deeply rewarding. 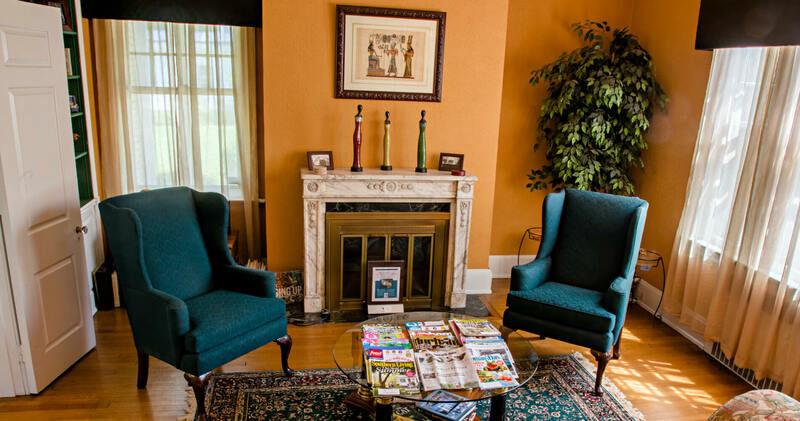 Speaking of stories, we (Monica and Daniel) invite you to our local Durham bed and breakfast called Morehead Manor. Black Enterprise magazine named us the #1 black-owned bed and breakfast in America. We welcome everyone to experience a luxurious stay and a gourmet breakfast each morning. Our guests, and all those who visit Durham, will make meaningful memories and have wonderful stories to share with loved ones. 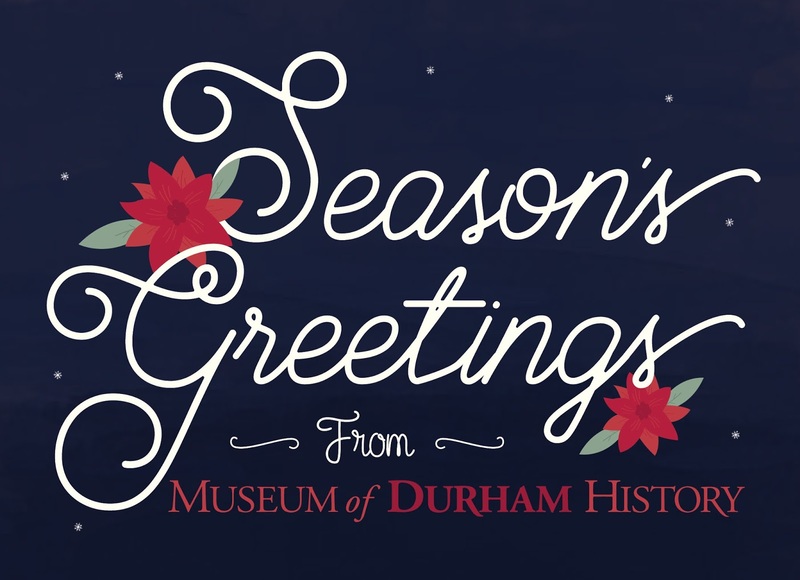 This entry was posted in Uncategorized and tagged bed and breakfast, caroling, cookies, Durham, Durham County Library, Durham History Hub, Hayti, hot cider, Museum of Durham History, Story Room, Third Friday, view by admin. Bookmark the permalink.